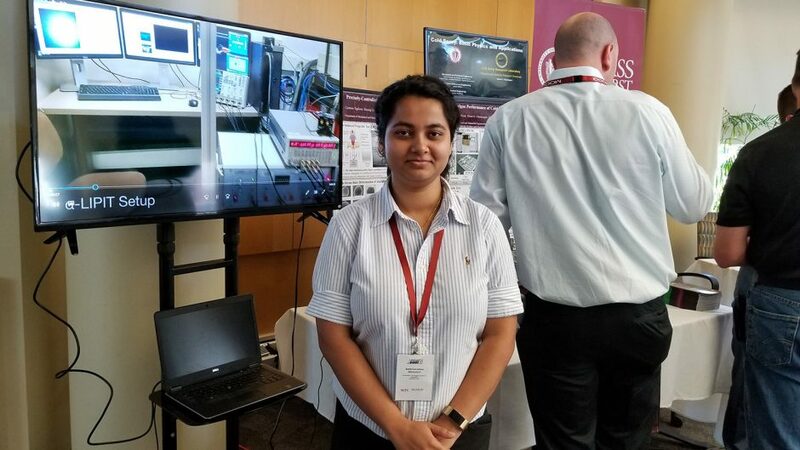 Swetaparna attended the Cold Spray Action Team (CSAT) at Worcester Polytechnic Institute, and presented our study related to cold spray at the UMass exhibition booth. "The theme for CSAT 2018 is "Structural Repair and Additive Manufacturing." This past year has seen an unprecedented level of activity in Cold Spray Technology throughout the Department of Defense and the business sector. Structural applications of cold spray are being developed and cold spray continues to expand into areas, outside of aerospace. There have been numerous DoD Programs funded in cold spray including the Army Rapid Innovation Fund (RIF), Toxic Metal Reduction (TMR), Strategic Environmental Research and Development Program (SERDP) and the Defense Manufacturing Science and Technology (DMS&T) Programs."